It was one of those long week-ends and The Hubby REALLY want to go on a road trip. 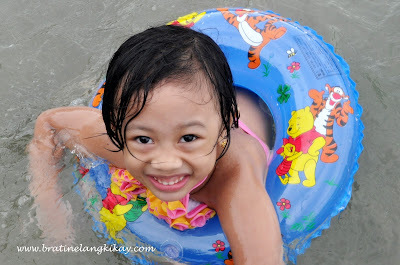 Our initial plan was to drive up north to Vigan or down South to Bicol but the 10 to 12 hours trip might be too grueling for the kids especially Enoe. After considering dozens of options, we decided to take the kids to the beach. So off to Batangas we went. 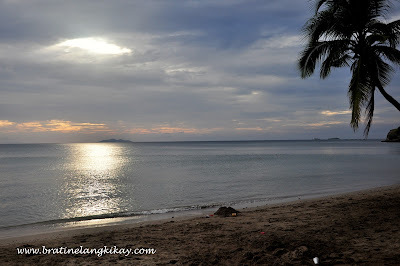 The morning was kind’a gloomy and it really looked like it's going to rain but there's no way we are cancelling the trip as Eone was too excited already and was already wearing her swimsuit. 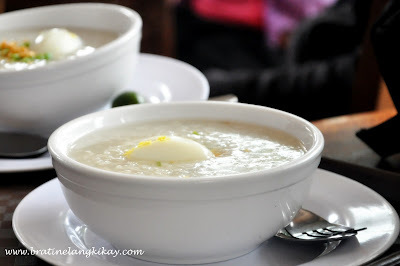 True enough, as soon as we hit Tagaytay, it had started to drizzle. 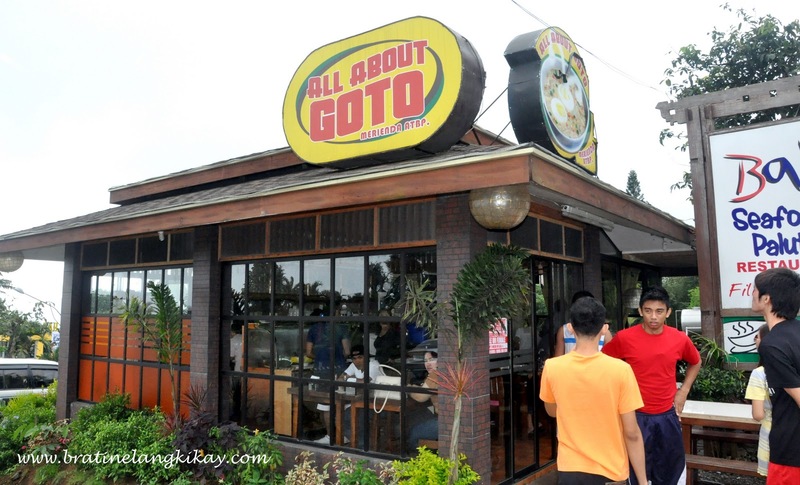 We stopped at this new 'goto house' called All About Goto for a quick breakfast fix. 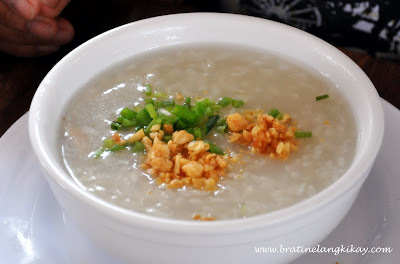 Both Eone and Enoe love lugaw and I too, have not eaten goto (beef tripe congee) in months. All About Goto - so small. Only 3 tables inside and 2 outdoors. After that quick meal, off again to our journey to our destination which is the Munting Buhangin in Nasugbu. It wasn't that far from Tagaytay (about an hour) and we got there a little before lunch. The resort is nice and clean and for an entrance fee of Php170 for a day trip (plus around Php650 for the gazebo rental which can accommodate up to 10 persons), one wouldn't feel shortchanged. However, the resort management could still improve their facilities by adding more toilets and shower rooms. Also, everything in that resort was with a fee. I was surprised when I was charged a fee for Eone's floater to be inflated. What? 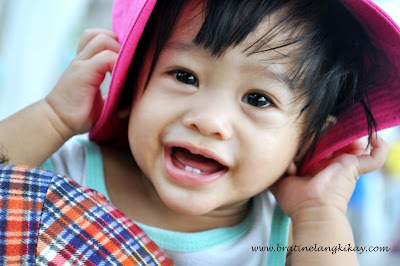 I paid a total of Php1500 for our entrance fee (incl. gazebo) and they couldn't blow air into a small salbabida (about 18 inches in diameter) for free? Anyway, Eone had a great time splashing in the clean water and Enoe who gets nasty skin rashes when exposed to the sun (and heat) had a blast sight-seeing. It was his first time out of town! 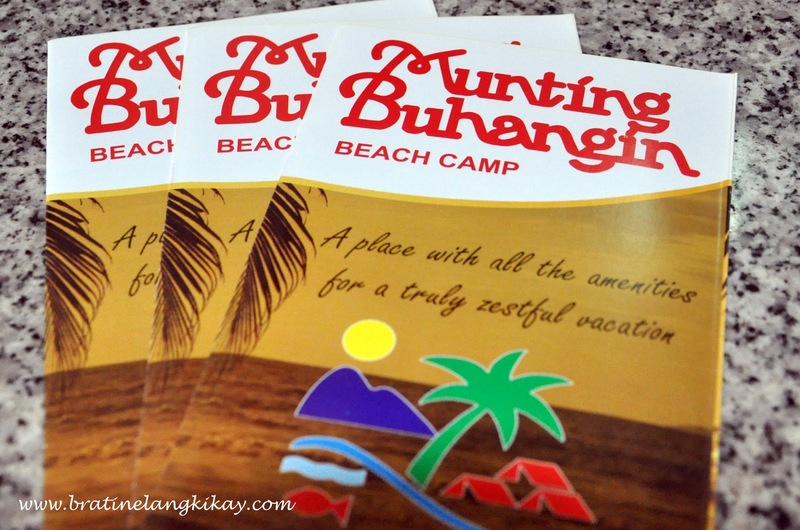 Munting Buhangin is located in Bo. 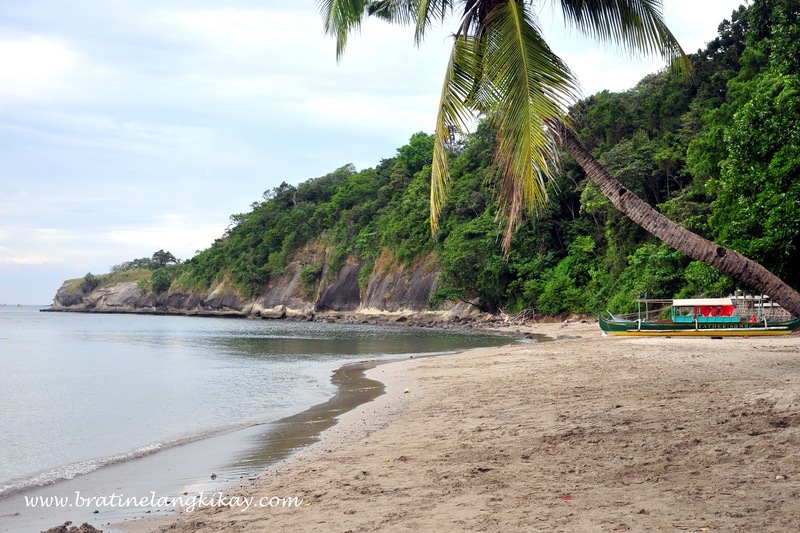 Wawa, Nasugbu, Batangas. Visit their website for more details.